We will all die. No one lives forever. All the great people that we know from history were born, lived and died. Life is a simple process; you are born, become an achiever or a complete failure, get old, retire and get older while waiting to die. No matter how great you are, a six feet hole will be dug for you somewhere, lions will eat you alive, or you will drown in an ocean, never to be seen again. Each life has it’s own way of ending. In the modern world, you have to work to earn a living. Regardless of your way of earning a living, you have to retire at one point in time. In most countries, the working age population is defined as those aged 15 to 64. As we grow old, our physical and mental abilities start to deteriorate. This is the reason why there are retirement ages for many jobs. Airlines don’t want to risk air-crashes due to slower decision making. Hospitals don’t want mistaken diagnosis or wrong medicine subscriptions because of doctors who are too old and liable to making many mistakes. Even burglars retire because breaking houses needs energy. In politics, there is no retirement age. Yet politicians have greater responsibilities. In 2017 the average age of the ten oldest African leaders was 78.5. In Malawi, Joyce Banda, who lost miserably in 2014, is standing again at 68 despite confessing that she is too old to stand again just a few days ago. Her running mate is 77 years old! President Peter Mutharika is almost 80 years old but will stand again in this year’s elections. The Minister of finance, Goodall Gondwe is 82 years old and desperately campaigning to remain Minister after the elections. Gondwe is so old, he can’t remember the definition of a baby. He calls 45 year old Vice President, Dr. Saulos Chilima, a baby just because he is a threat to his continuation of a ministerial job at 82! He doesn’t want to retire. If God blesses Gondwe, he will be 90 years old in 8 years and 100 years old in just 18 years. That’s how old he is. Why can’t this old man retire and play with his grand children? The reason is simple. He wants to continue helping his fellow old man Mutharika with suspicious government transactions. These old men want to rip Malawi off before they die. They don’t care what happens to the country because soon they will die. They won’t be there in 30 years. Gondwe is so crooked and not ashamed of lying to achieve crooked deals that benefit DPP and Peter Mutharika’s cronies. Last year, he was caught red handed planning to spend about K4 billion on 86 constituencies belonging to members of Parliament who voted against the Electoral Reforms Bill, without Parliament’s authority. Asked where he got the money which was not budgeted for such spending, he shamelessly said the money came from “somewhere”. Typical crook! Gondwe as Minister of Finance, suspiciously engaged a public relations (PR) firm to publish articles in a magazine which cost the taxpayer about K295 million. The firm was engaged without a contract or seeking authority of the Office of the Director of Public Procurement (ODPP). According Weekend Nation Newspaper, Director of Information Bright Molande confirmed the ministry received an invoice for K295 million from Business Outlook but denied formally engaging them to render services to the ministry. The paper quoted Molande as saying. “That is true that a bill has to be settled with Business Outlook. But I should say that as a ministry we did not hire the services of this company. They just came on their own with an offer that seemed innocent only to realise that there were costs involved.” Embarrassingly stupid and obviously suspicious! Reportedly, the Ministry of Finance spokesperson Nations Msowoya disowned the transaction on behalf of Treasury. “We have checked around with all relevant sections that work on these things at the ministry but we are not aware of this particular transaction,” he said. However, Minister of Finance Goodall Gondwe, confirmed the transaction and agreement. The differences in the story between Molande, Msowoya and Gondwe shows the agreement and transaction was work of mafias siphoning tax payers money from treasury. The government, led by Gondwe and Mutharika controversially and suspiciously sold state-owned Malawi Savings Bank (MSB) to FDH Financial Holdings, a Malawian commercial bank, for MK9.6bn (US$21.1m). The bank was sold although it was owed billions of Kwachas. Until now, government is failing to collect K4.9 billion in loans that Mulli-owned companies obtained from MSB. Mulli, a die hard ruling DPP member, is the largest beneficiary of the K6 billion toxic loans government took over from MSB. Mulli obtained K4.9 billion from the bank while other firms owed over K660 million. It’s reported that four years after government set up the special recovery vehicle to collect the K6 billion, no single tambala has been recovered. As Minister of Finance, when asked about the falling state of the economy, Gondwe has always said the economy with improve ‘next year’. After lying many times Gondwe finally said we should put our economy in God’s hands. At 82, he puts our economy in God’s hands, It just shows he has no ideas to improve the economy, he has no energy, he is too old and must retire. These old crooked people must leave the country to capable young men who have fresh ideas and are concerned about the future of this country. They have stolen enough. Please retire! 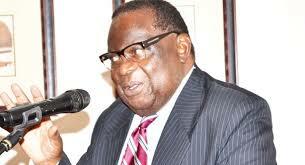 Malawi government is not a retirement home for crooked and opportunistic old men! Who is Michael Usi the man chosen to be Chilima’s running mate? zikomo kwambiri, mukamatikumbutsa-kumbutsa sitidzaphonya podzavota. Zimandikhudza ndikamava anthu akuchemelera azitsogoleri amene akungodzilemeletsa okha kusiya anthu awo akuvutika. Tisinthe maganizidwe.